For more than 20 years A Cut Above has served Gresham homeowners with award-winning siding products and customer service. Gresham homeowners continue to recommend us to their friends because our mission is to make sure you are happy not only the day the project is done, but 5, 10, and 20 years from now. Your positive experience with our company is the key to our long-term success. While other Gresham siding contractors are using poor quality products and cutting corners during installation, we are using award-winning products and double-checking our checklist to make sure everything is done right. We take the extra time to do the job right because we want you to be so happy with your new siding you tell your friends about us. 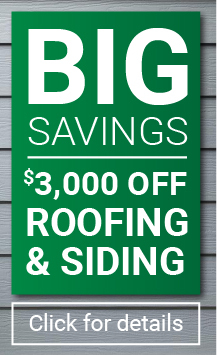 Call 503.334.0733 today for a free siding estimate. A Cut Above wins awards in part because we only use quality siding products on all our projects. We chose the brands and materials with the most value for homeowners in Gresham who experience both heavy rains and hot weather. The value comes back to you in the form of increased home resale value, improved energy efficiency and long-term peace of mind knowing you have protected your most important investment. In order to maintain quality, we also never hire subcontractors. Most siding companies hire subcontractors but at A Cut Above we never will because if we did we wouldn’t be able to offer you a Lifetime Craftsmanship Warranty on your home siding project. All manufacturers offer a warranty on their products, but manufacturer warranties are very difficult to make a claim against if something goes wrong. Why? Because 99% of the time the problem is not with the product, it’s the sloppy or inexperienced siding installers who caused the problem. In these cases the manufacturer warranty is worthless. To separate ourselves from the countless fly-by-night siding companies we offer proof of our long-term commitment to you in the form of our Lifetime Craftsmanship Warranty on all siding projects with our exclusive A Cut Above Water Management System. Call today for more information on our Lifetime Craftsmanship Warranty. 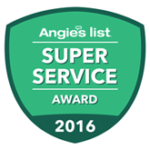 We have won the Angie’s List super service award more than 15 times! The reason we win these awards is our dedication to good communication and great customer service throughout every job. We also make our customers happy by using only well-trained employees on your project. Our mission is to be the most trusted siding contractors in the Pacific Northwest and we accomplish that by only using our own employees and making sure they’re trained properly before they are sent out to take care of you and your home. After extensive research A Cut Above selected products with the greatest durability for Gresham’s climate. The products we selected include James Hardie “Hardiplank” siding, real cedar siding, real cedar shingle siding, and both decorative brick and cultured stone siding. We are one-stop siding contractors, we have what you need to improve the value and the look of your home. The city of Gresham, situated at the mouth of the Columbia River Gorge, was originally a camping area for pioneers on their way to Portland. Gresham became a city in 1884 when a local store owner agreed to allow his store to serve as a post office, satisfying the criteria for a city at the time. Gresham was incorporated in 1905. Gresham was named after Postmaster General Walter Quinton Gresham. Need more information? Call 503.334.0733 today.